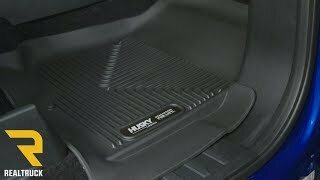 Husky Liners has been a leader in floor protection for many years and no one designs floor liners that offer better protection than Husky X-act Contour floor liners! Everyone knows that keeping your truck clean not only makes for a more pleasant driving experience, but it also helps your vehicle retain resale value. 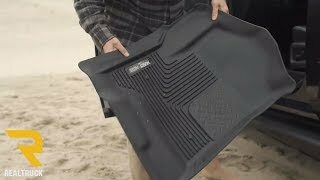 X-act Contour floor liners are engineered and designed to fit your SUV or truck's complex curves exactly. This not only provides a stellar look for your floor but you can rest easy knowing that your carpet is completely protected against rain, snow, or mud. The raised channels and treads Husky Liners has incorporated into the X-act floor liners trap water and other fluids away from both your feet and your carpet. A patented "form-fit edge" along the thresholds makes getting in or out of your truck easy. Husky Liners uses a unique rubberized material for their X-act Contour liners that resistant to many common household chemicals like oil, gas, or battery acid. 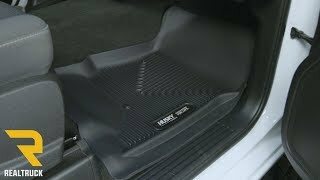 X-act Contour floor mats also have patented STA-PUT nibs on the backside that will prevent your floor liners from shifting without the aid or use of any additional fasteners. Your Husky Liners X-act floor liners are also designed to be super easy to clean off when you wash your truck or SUV. Not only are Husky Liners X-act Contour floor mats great looking and provide a superior level of carpet protection, they are proudly made right here in the USA and available for most of today's popular trucks and full size sport utility vehicles. 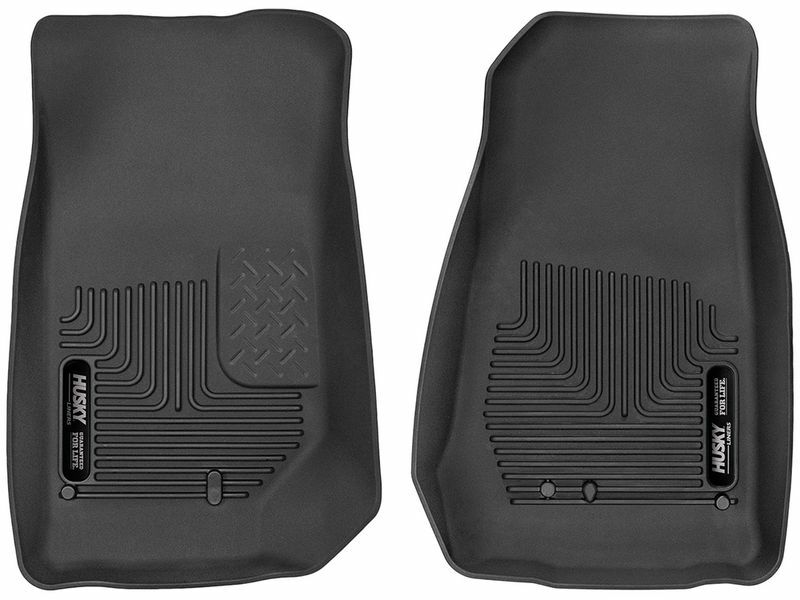 With a set of these floor liners you can also experience the proven protection of Husky Liners! 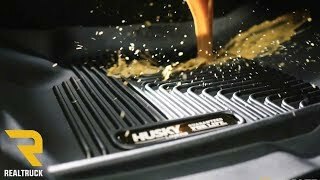 Husky offers a lifetime warranty on the Husky Liners X-act Contour floor liners. 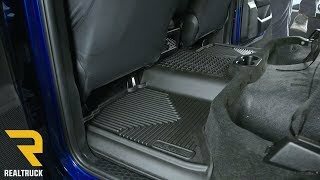 The Husky Liners X-act Contour floor liners simply slip into your truck or SUV, providing maximum coverage without the need for any cutting or trimming on most models. For additional information or if you have a question or two you'd like to have answered, please feel free to call us at 877-216-5446.